Malabar claims German Design Prize Gold — Blog — TypeOff. This year’s German Design Prize jury has selected my Malabar typeface as one of ten works from across the nation to received the coveted design prize of the Federal Republic of Germany in gold. In June, the German Federal Ministry of Economic and Technology nominated my Malabar typeface for the 2010 German Design Prize. The design prize of the Federal Republic of Germany is the country’s highest distinction in the field of design. No other design award sets such strict criteria on entries. A company can only enter the competition of its product has already been recognized in another national or international competition. Over 1,200 items were nominated for the 2010 judging. 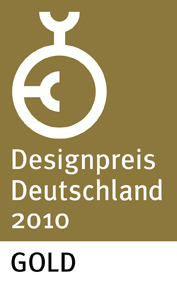 Earlier today, the German Design Council published the 45 winners for 2010 at designpreis.de. I am very pleased to announce that Malabar is one of ten works awarded with a gold prize. How are the competitions results? In the product design category, five works received gold, and 18 others silver. In the communication design category, five more works received gold, with 17 silver awards. Although other typefaces were nominated, Malabar is the only typeface design among this year’s winners. Congratulations to this year’s other prize recipients, as well as all of the 1,200+ design pieces that were nominated! This gold in the Federal Republic of Germany Design Prize 2010 is the third award that Malabar has received to date. Earlier this year, the typeface was awarded a certificate of excellence in type design at the Type Directors Club of New York TDC² competition. In May, Malabar took home a silver prize at ED-Awards 2009, the annual European Design competition. Malabar grew out of Martel, a multi-script design that I initially created in 2008 on the MA Typeface Design course at the University of Reading. The Latin component is currently distributed by Linotype, and you can buy it here. The Devanagari is still under development, and will be released soon. The German Design Prize 2010 award ceremony will take place on February 12, 2010 at the Ambiente trade fair in Frankfurt. Ambiente visitors will be able to view Malabar in a German Design Prize exhibition on the fair grounds from February 12–16, 2010. Additionally, the German Design Council will distribute a 2010 year book internationally. Among other things, the catalog will include information about all of this year’s prize winners. All German Design Prize 2010 winners may be browsed at designpreis.de.